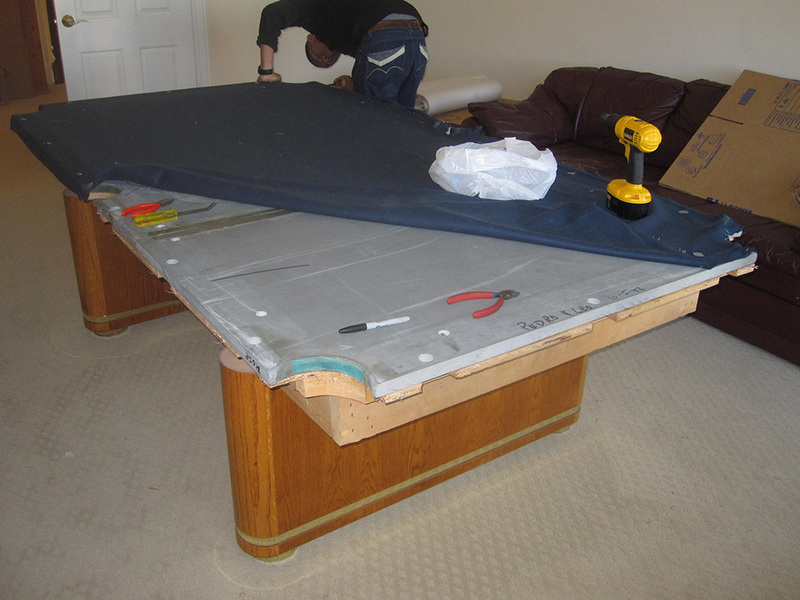 This is an eight foot Golden West “Tiburon 2” pool table we disassembled for our clients in Coto De Caza, CA. 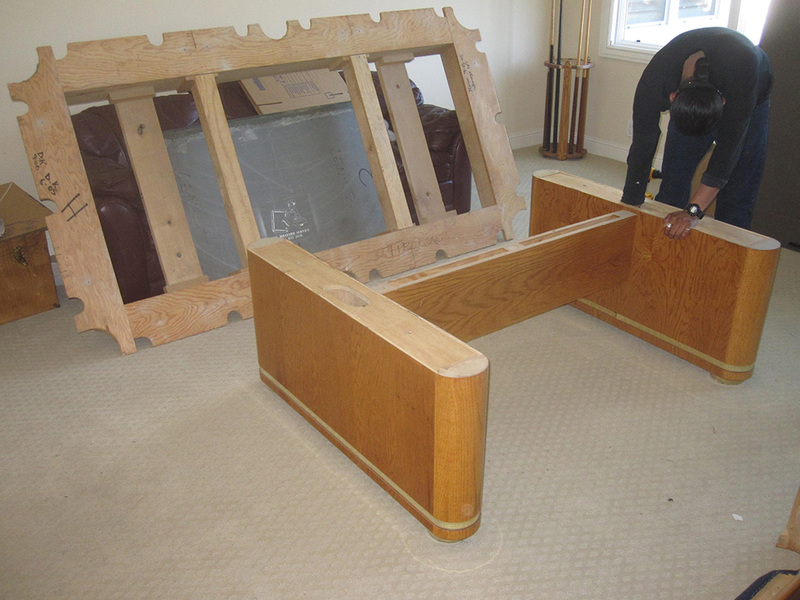 The client is downsizing and moving to a smaller home in Coto. 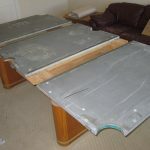 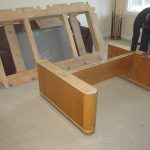 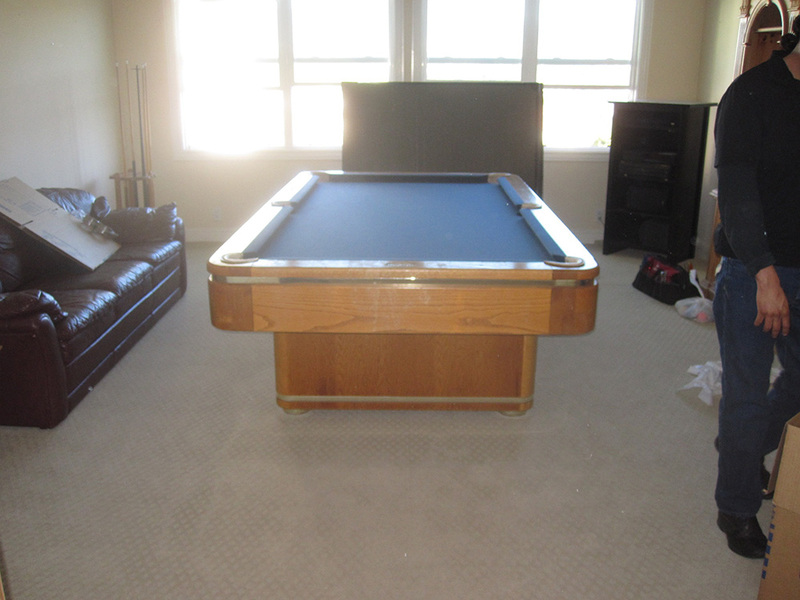 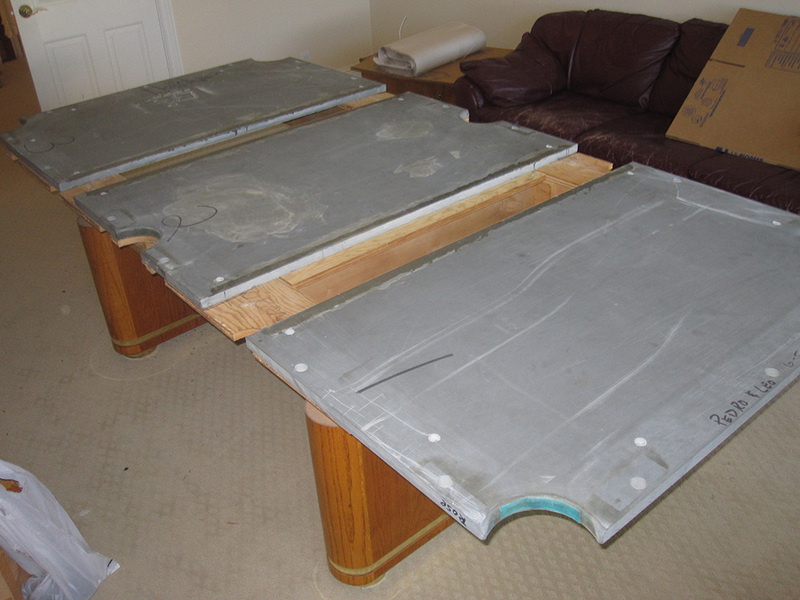 He hired us to breakdown this three piece slate pool table so that his movers could safely move it to his new home. 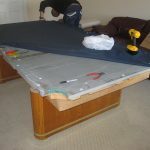 The moving companies usually always want their clients to pre-arrange a pool table breakdown well in advance of a move out. 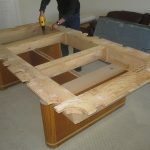 But in this case we actually showed up at the job at the same time. 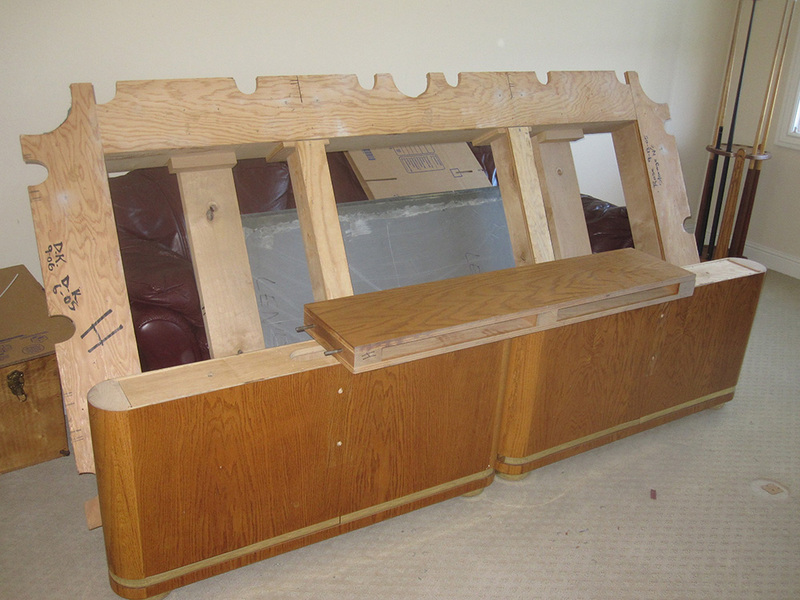 Not a problem because we were in an upstairs game room out of their way. 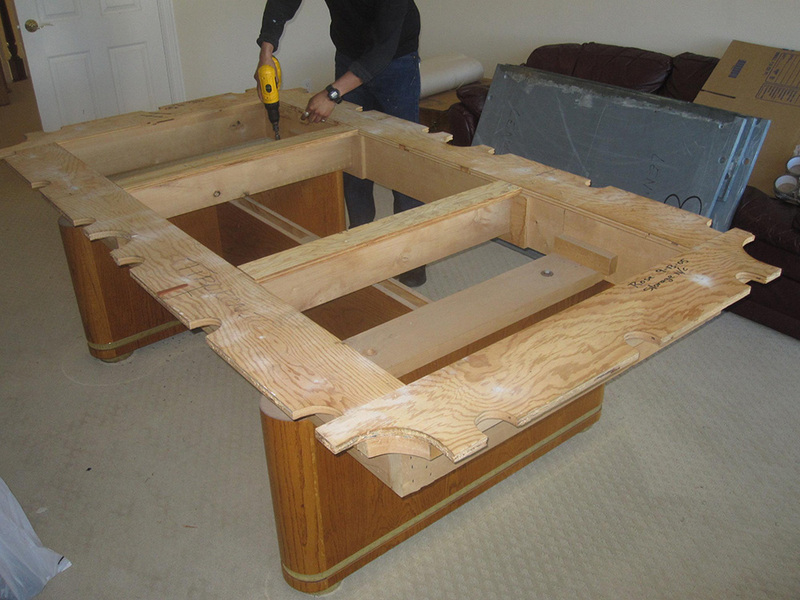 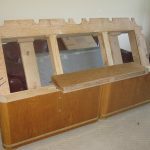 Our client will have us back out to assemble the pool table once he settles into his new home and also tries to figure out which room he’ll setup the table in. 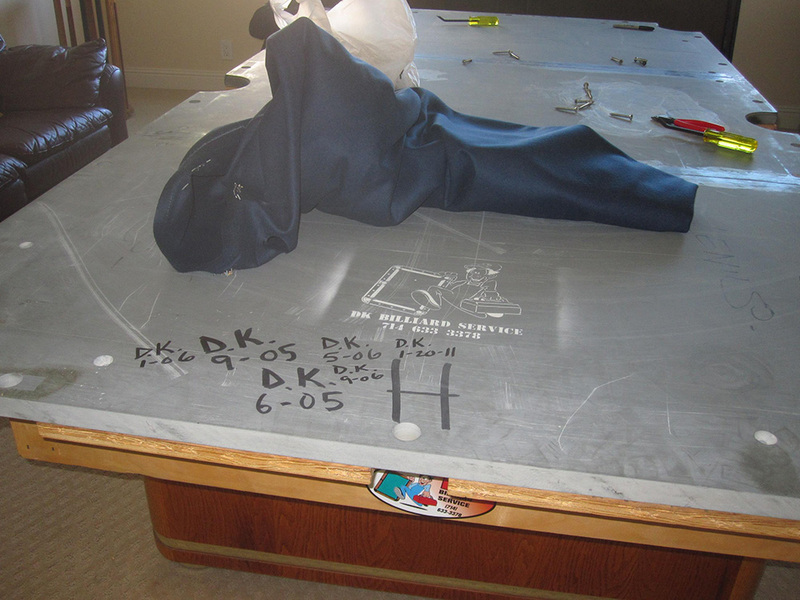 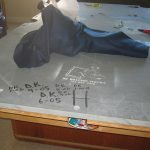 Luckily when my crew and I set this pool table back up we’ll be able to re-install the existing navy blue felt.